When the summer comes to an end and the weather begins to change, I start craving foods that keep me warm, like soups and stews. 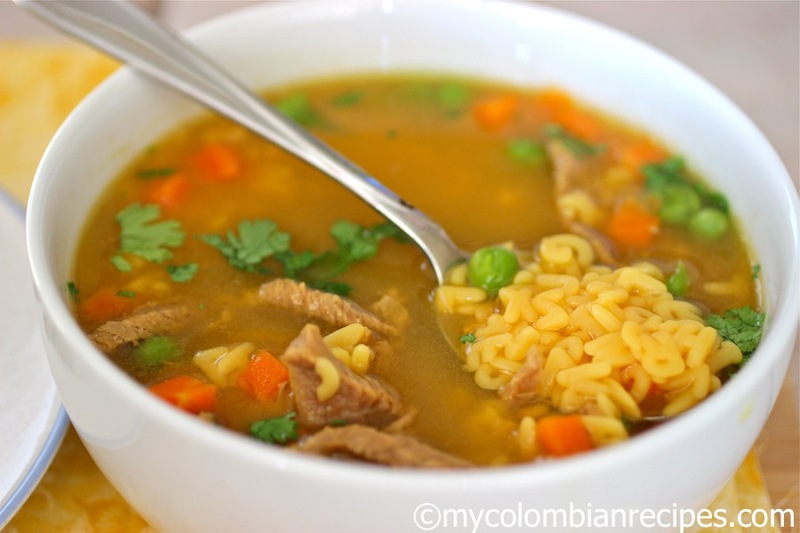 There is an incredible variety of stews and soups in Colombian cuisine that I just love! 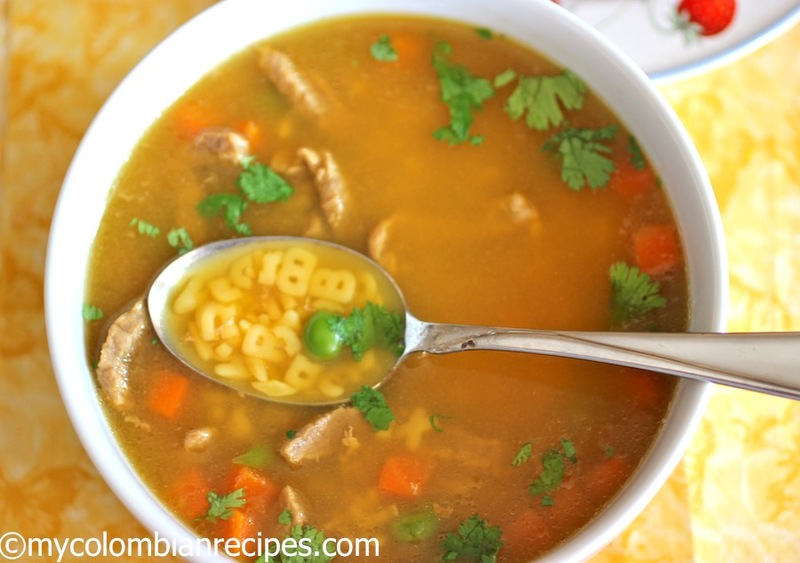 One of the soups that I have been craving lately is my mom’s simple Sopa de Letras con Carne (Alphabet Soup). 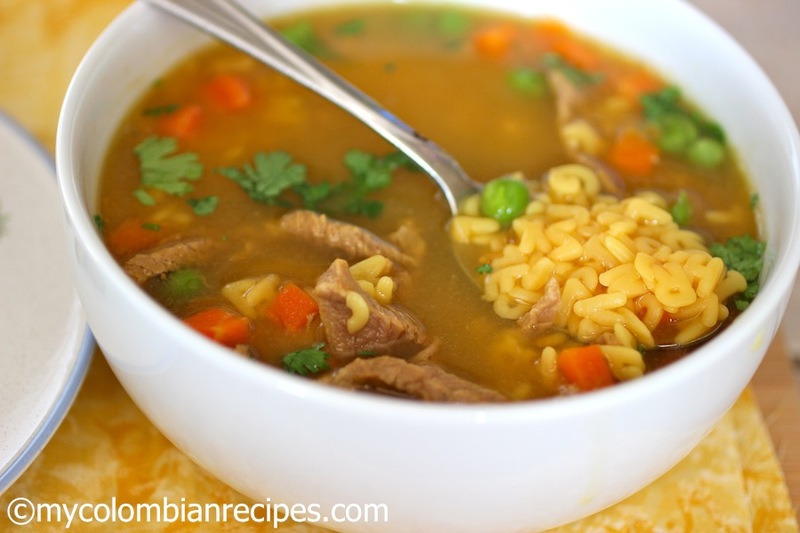 I grew up eating this soup, although as a child, I hated most soups. The only soup I ate without complaining was this Sopa de Letras. So, my mom made it at least once per week using different kind of meats. If you have kids, I highly recommend this soup. It is easy to make and incredibly delicious. I used beef this time, but you could also use chicken, pork, or even tofu for a vegetarian version. Place the beef in a medium pot and add the water. Bring to a boil and then reduce the heat to low. Add the rest of the ingredients, except the pasta and cilantro. 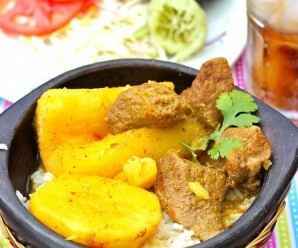 Cook for about 45 minutes or until beef is completely tender. Add the pasta and cilantro to the soup. Cook for about 8 minutes more. Serve hot with lime and avocado on the side. I am definitely a soup/stew girl as the cool weather approaches. 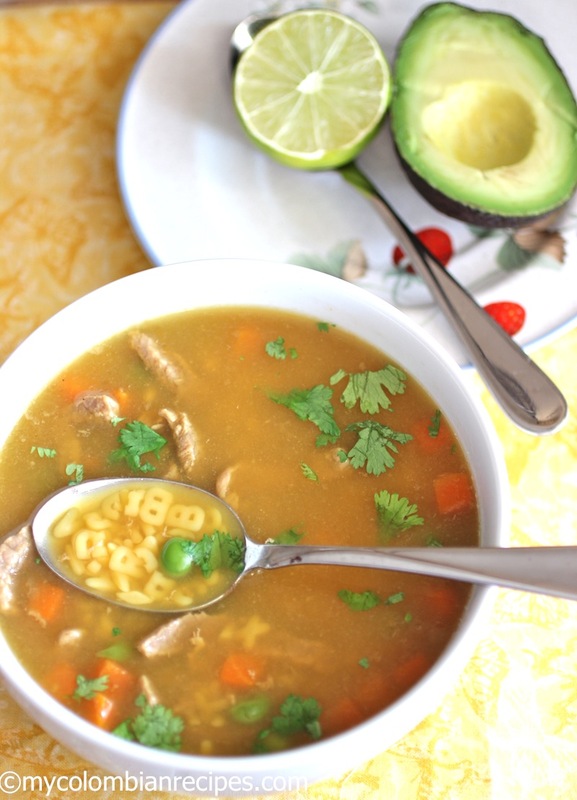 This Colombian alphabet soup is delightful and would be perfect for kids. Love the soup season! 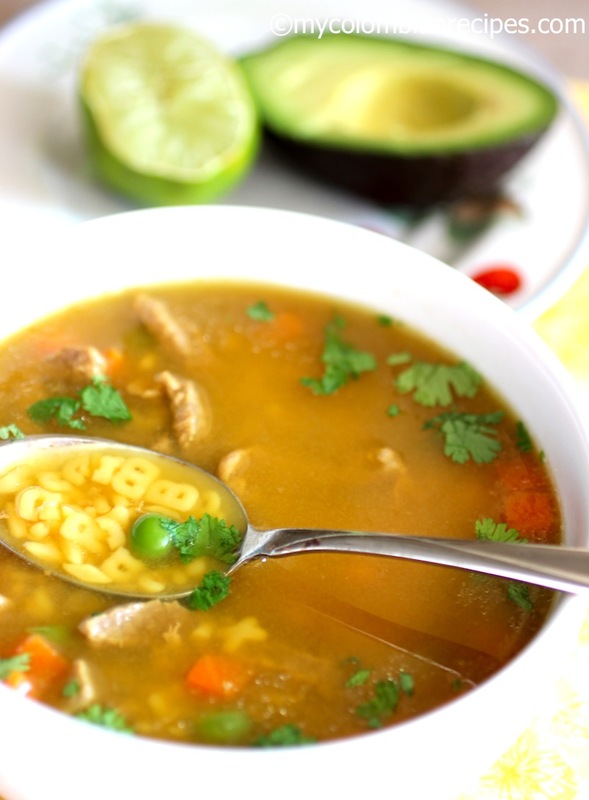 Your alphabet soup looks warming and soothing. I love it. I love your blog. I was born in Colombia and raised in the states since I was 2. However at 13 we moved back to Medellin until I was 16. I have a great love for all things Colombian. 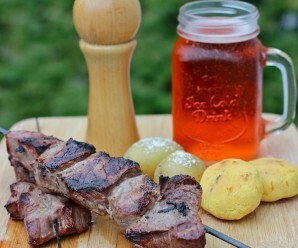 For years there has been such a void of knowledge about Colombian food. 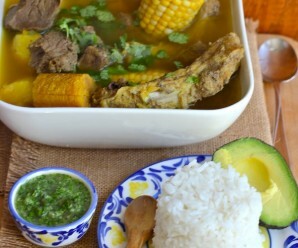 I am so happy you are helping share about Colombian food. There’s another Colombian gal who has published some really nice books named: Patricia McCausland-Gallo. I have a blog about travel, food, life, dogs, etc. I hope you enjoy it. Not sure I ever had an alphabet soup that did not come out of a can lol, yours looks so much better! How fun and ready for the fall this soup is. Perfect season! I really like you blog. 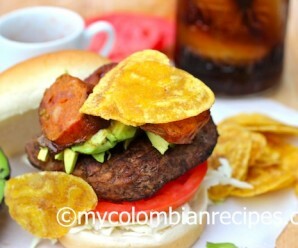 I was born in Colombia and i raised during the most part of my life.. i really love all Colombia food and you recipes make me easy to cook each one. I spend the most part of my weekends to cook some of Colombia food but now i can cook different foods..
Fun and I am sure the children love it.